We knew we were in for a treat when PK, JK and SK students joined KCS three years ago. But we didn’t expect manicures, facials and haircuts! Anyone walking down our Senior Kindergarten hallway last week will have doubtless noticed the many signs advertising these services and more, for a price, by our SK students. No, this is not a mandated unit of study. Much better, it’s what an enterprising and imaginative young group decided to make happen. From what I’ve seen, these young entrepreneurs are working on establishing about a dozen of our KCS Habits – habits that will set them apart wherever their future takes them. Their writing and counting are also getting emotion-driven practice. Positive emotions are booster fuel for learning. Thanks to our faculty’s efforts with Project-Based Learning and their readiness to support student initiative, the whole KCS community benefits from dozens of student projects equally delightful. But this is the first where I can also get all fancied up for the holiday season. Thank you SKs! At KCS, we have our very own Amazing Race in grade 7! And you’ll have to trust me that so many things about it are indeed amazing. In teams, students complete projects that span many subject areas. Because that’s how life is. We don’t learn things in silos. Everything connects! Learning includes information about: travel advisories and blogs, music, games, global challenges, comparison of statistics, environmental stewardship, maps, and more. Our students prove that when given the opportunity to learn and the adults get out of the way, great learning can happen. In grade 7, the culmination of this learning leads to the Amazing Race Challenge. Groups of students solve clues to get from one area of the school to another. Each challenge requires them to use their skills and knowledge, perseverance and group effort. It is a wonderful snapshot of their growth in learning in so many areas. Successful groups encourage each other, are empathetic, show leadership, and play to each member’s strengths. It’s a team game. What happens behind the scenes is a team game too. Teachers excitedly work out logistics, research new technology, bring forward innovative ideas, and brainstorm solutions. Who is more excited on the day of the Amazing Race Challenge: students or teachers? It’s hard to tell. Although I’ve been at KCS for 15 years, I’m still very humbled by how willing our team is to: jump in, propose ideas, organize, supervise, take photos, offer prep time or materials, try new technology tools, and so MANY more little and big things. They put the students first in all that they do. I’m honoured to be part of the team. It is a team game. Learning like this is priceless. Thanks to local artists, the Islington BIA and many generous others, Islington Village showcases local history in 26 murals throughout the community. With exquisite detail, they give a realistic image of life long ago. But it takes more than that to make history come to life. For that, it takes an inquiring mind, some time and vivid imagination. Recently those all came together in our grade 3 classes at Kingsway College School. These young students were given the task of choosing one of the murals, researching it and preparing a poster to tell the story captured in the mural in their own words. It seemed that this was an opportunity many were waiting for. No ordinary project, this one had heightened meaning for them thanks to the murals they’ve seen throughout their childhood. They learned about what happened on the ground on which they live, play and go to school. With personal fervour, some went beyond the murals to pursue further research on the War of 1812, World War II, Hurricane Hazel, multiculturalism and more – topics that are well outside of the grade 3 curriculum. Many also joined their families on a guided walk through the village. This was the first time our grade 3s studied the murals but its success has already sparked a desire to expand the effort next year. Projects aren’t new to these young students. Fun learning isn’t new to them either. What made this project special were the murals that we so fortunately have right in our community, and the opportunity to delve into the local story behind them. At Kingsway College School, there are numerous ‘Habits’ that we aim to establish in our students. One of those Habits is ‘Share What You Know’. The murals of Islington are a powerful example of the value of ‘sharing what one knows’. In the wake of this project our students have equally ‘shown what they know’ by sharing their posters in the school and through social media. Some other great Habits were wonderfully evident thanks to this mural project: ‘Embrace Learning’, ‘Respond with Awe and Appreciation’, ‘Think Creatively’ and ‘Persist’. When administrators are called and asked to come down to a classroom, some concerning scenarios can come to mind. For all the planning that goes into a day at any school, there’s always an element of unpredictability. Recently I received one of those calls from a teacher. Without pause I headed down. 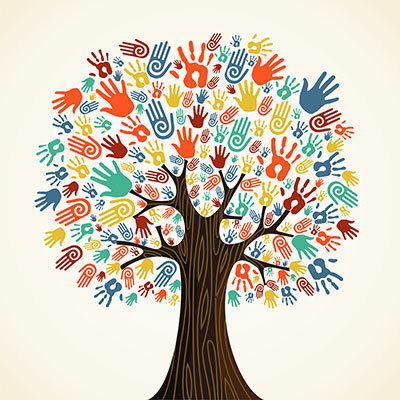 To my relief, she wanted to share how her recent effort to introduce more student-centered project-based learning (PBL) with her young students was playing out. Her classroom was a busy hive of learning, with children researching different aspects of Islington Village’s history. They were following the research process they’d been learning since grade 2, and discovering fascinating stories that happened on the very ground that they live, play and learn on every day. The greater student choice was part of the responsible risk for this teacher – would the students end up successful, can they handle the freedom, the challenge? These are among the many good questions teachers consider in everything they do. She took the risk to give more freedom than usual, and was so excited to see how they were responding that she asked me to come check it out. I’ve enjoyed many of those moments with our increased effort to bring project-based learning to KCS. Blog followers already know about the fish project in JK. Our grade 7 science teacher shared his delight at how all of his students are responding to the new Lego robotics challenge they face this term, designing a device that would help in the event of a natural disaster. Our grade 6 to 8 students are embracing the current art challenge to create their showcase piece on ‘celebration’, in any way their hearts and skills take them. Our primary teachers shared their efforts at a recent meeting and it’s clear that they’re all taking steps and seeing promise. The unpredictability of the school day isn’t always an educator’s favourite part of this profession. Tough things happen and we’re the first responders. Some unpredictability this year has been a real treat, however. The success of PBL, while not unpredictable, was a surprise I didn’t know was coming with that call from a teacher. It’s a surprise that I look forward to our teachers and students, and me, experiencing more and more at KCS. Fish 1 and Fish 2: A JK Dream Come True! It all started with a kindergarten app designed to teach sight words, numbers, letters, addition and subtraction. For every three correct answers, students receive a coin. With these coins, children buy items to complete an aquarium including several varieties of fish, fish food, plants, gravel, sand, and décor. The fish swim about darting towards the digital-fed food and hide if the iPad screen is tapped. It is intriguing, engaging, and most of all FUN, even for certain teachers! This led to a discussion of an appropriate classroom pet and how to keep it alive and healthy. Our class PBL (Project Based Learning) was launched with its many key elements: significant academic content with 21st century skills, a driving question, a need to know, student voice and choice, in-depth inquiry, revision and reflection, and a public audience. The list included a dog, a cat, an ant, a snail, a fish, a whale, a butterfly, a worm, and a rabbit. It was decided that ants might tickle, and they would be hard to find at this time of year. A worm might be too squiggly, and a snail might be too slimy. A whale would be too big to fit through the door, and how would we transport it to school? A rabbit would just jump everywhere! Who would walk the dog? Who would clean up the messes left by the animals; no one put up their hands. It was suggested that the teachers could look after the animals on the weekend! Some children have allergies to certain animals, and some were afraid that they would bite. A vote was taken and the majority ruled that an aquarium would be the best idea. 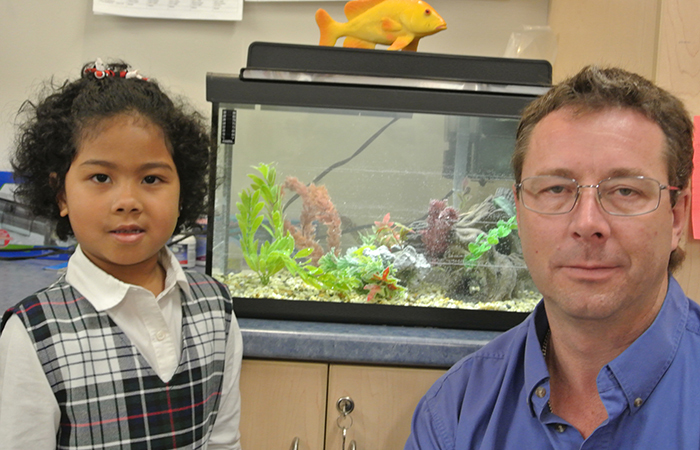 We talked about the needs of a fish to keep this living thing alive and healthy. The children concluded that the fish needed clean water, a tank and food to eat. Some decorations would be nice. Everyone offered to help feed the fish and to keep the tank clean. The children contributed to a class shopping list recorded by pictures and words using inventive spelling, and guesses of cost for each item. We then put forth a budget as children guesstimated how much money we would request from administration. The requests varied anywhere from 1 cent to 100 dollars. On Thursday, March 6th we headed to the office of Madame Fanjoy and presented our budget. Madame Fanjoy loved our idea of the fish tank and agreed to give us funding for a project that she deemed worthwhile and exciting. The children “read” lots of books, examined colourful plastic fish, and visited wonderful places like Ripley’s Aquarium and pet stores. In response to a request for a possible family guest speaker with aquarium experience, one of our parents approached us with an amazing proposal. She had a client in the pet products industry eager to donate the needed supplies to set up our class aquarium and to provide a specialist to assist and educate us. 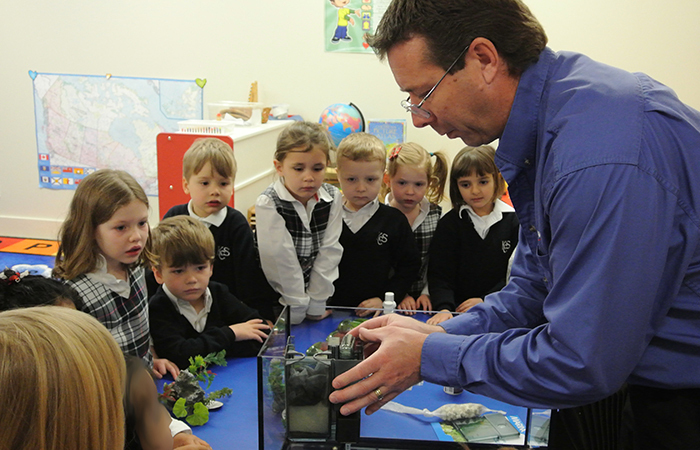 On April 3rd, Jae Hovius, Ontario Aquatic Specialist for Rolf C Hagen Inc., gave the JK class a captivating, informative, and hands-on session. He truly enjoyed the experience as much as the JK children did. 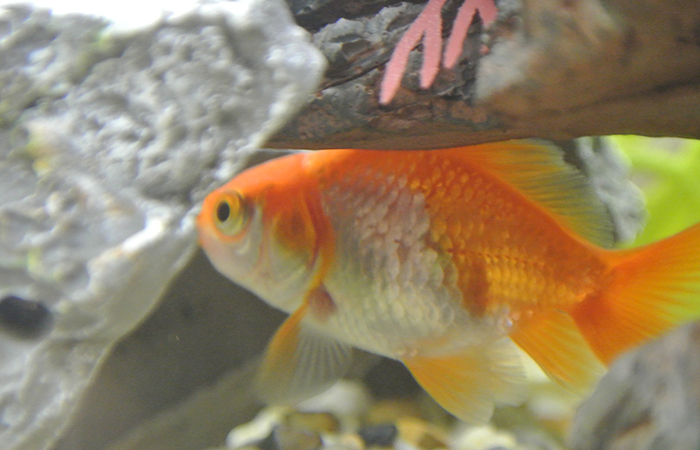 On April 8th, we excitedly welcomed our two goldfish, and the children aptly named them Gill and Goldie-Antonio. Our much loved pets seem to have settled in well despite all the attention of the many inquisitive, beautiful faces peering at them through the glass. The learning does not stop here. There will be so many observations to be performed, pictures to be drawn, photos to be taken, and responsibilities to be taken on. We are very excited about this project and look forward to sharing its progress with our KCS families and friends. 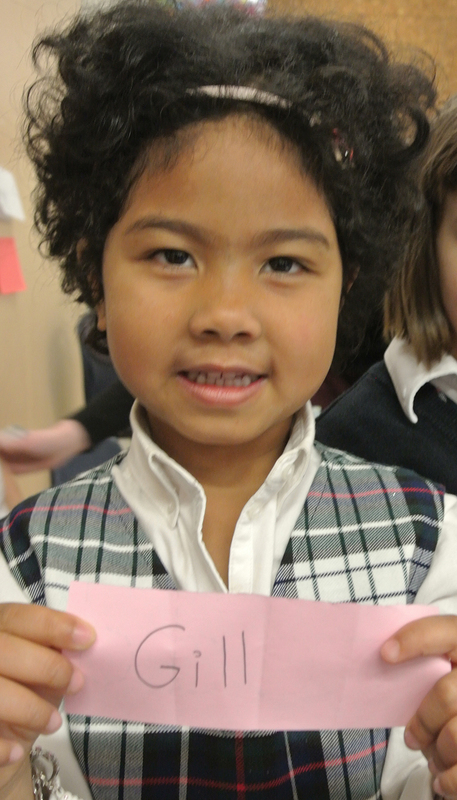 It’s been almost six months since KCS’s first-ever PK, JK and SK classes began. You may recall that when you’re that young, six months is a very long time. Between everything our youngest students have learned and all that their teachers have accomplished, it’s time to step back, take note and celebrate. All good teaching starts with learning. Discussions on how to align the Early Learning Program (PK-SK classes) with grades 1 to 8 began in January 2013. These discussions were promptly fuelled by external professional development throughout the spring and summer at a kindergarten conference, a reading institute and at workshops on play-based learning. Since September, professional development hasn’t let up. More external workshops, online courses, internal guidance on emergent curriculum and technology, iPad workshops, plus visits to observe and learn from kindergarten teachers at another independent school have also taken place. Without question, the newest members of our KCS faculty are exemplary models of our KCS Habit Embrace Learning. 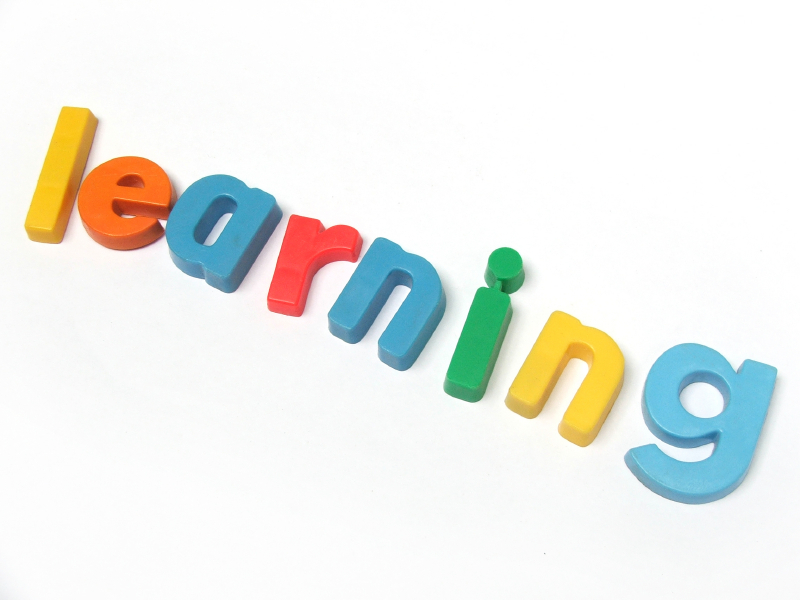 Commitment to ongoing learning and improvement is an inherent part of KCS from PK to grade 8. Reading Mastery is a Direct Instruction program that is now established at KCS from JK to grade 6. First introduced at KCS two years ago, the small-group, research-based instruction is proving exceptionally effective in ensuring all students master the fundamentals of reading, from phonics to making inferences. Our kindergarten students get further opportunity in reading through take-home readers, regular get-togethers with KCS Reading Buddies, the excitement of guest Mystery Readers, teacher read-alouds and multiple other opportunities to learn the power of print. Project-based learning (PBL) is another school-wide area of focus embraced by our kindergarten classes. PBL is a method of teaching that optimizes both learning about the world and also development of the KCS Habits of Mind, Body and Action. Through a tantalizing question or challenge, curiosity is piqued, and students are ready to engage in a wide variety of learning related to the topic at hand. The Emergent Curriculum practised in our PK classes and play-based learning also practiced in kindergarten are the age-appropriate ‘cousins’ to PBL. This excellent foundation aligns with the learning that awaits in grades 1 to 8 and indeed, the rest of their lives. Incoming young students can also look forward to much more. iPads are being leveraged to help support skill development in our kindergarten program. The program ‘Handwriting Without Tears’ is being used to teach fine-motor skills, printing and eventually cursive writing from PK to grade 3. Math is being taught according to best practice with small-group instruction, a wide variety of hands-on learning experiences and engaging games. Music and French are taught by passionate specialist teachers who have aligned their efforts with the program in grades 1 to 8. Social and physical development have dedicated time with daily outdoor play and physical education classes in our full day program. Community service included a PK-SK partnership with the George Hull Centre collecting gifts for families in need. And exciting field trips to the Humber Arboretum, Aquarium, Toronto Symphony and more allow our students to learn from the many opportunities within the GTA. While our half-day and full-day programs both offer all of the above, our full-day program provides the time needed to make the most of a rich learning program. Deep learning comes when students take their time, engage in activities until their natural conclusion and pursue ideas until the mind, not the schedule, tells them to stop. Long uninterrupted periods of learning not only support skill development but are also when habits of persistence, curiosity and creative thinking take root. At the six-month mark, we’re very grateful for the twelve new faculty who collectively bring more than 170 years of teaching, from not only the former St. Georges Nursery School but also other highly regarded schools. Their learning and dedication to our youngest children has made for a very special first half year. With ongoing learning and unwavering dedication going forward, our Early Learning Program can look forward to many more happy half-years to come. As expected, lots of learning is underway at KCS. What you might find interesting is to learn about what our teachers are learning. Every year includes ongoing professional growth for faculty. 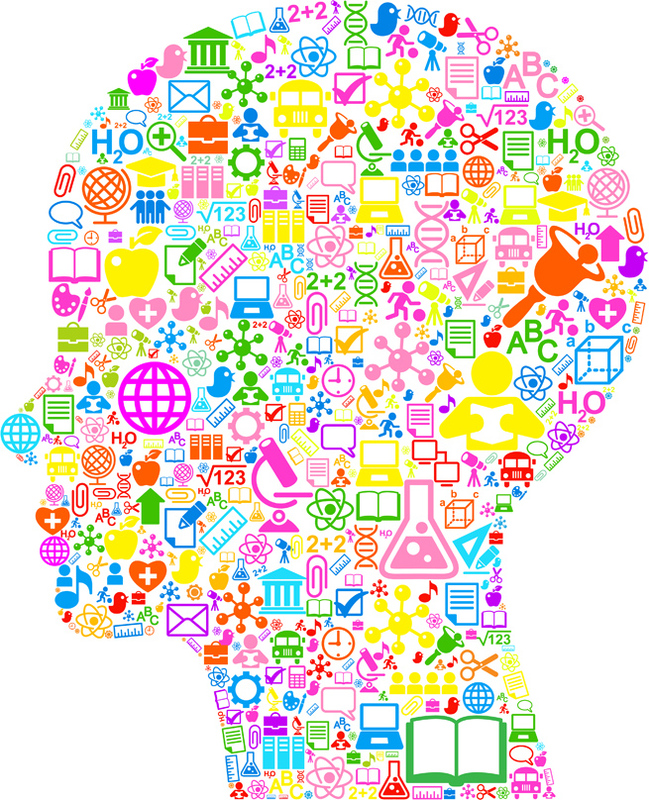 Much of the learning is individual in nature, as all faculty are encouraged to identify areas in which they feel they want or need to grow, and then to pursue that learning. Some learning is common to groups of faculty, such as when we collaboratively address a challenge or pilot a new initiative. On top of all this activity, each year has school-wide areas of learning. So, what faculty learning is taking place this year? Many are receiving formal training in teaching Reading Mastery, a Direct Instruction program that has proven very effective since our pilot the year before last. Among those who are proficient in teaching Reading Mastery, two are now working on becoming certified trainers in Direct Instruction programs. We have teachers taking additional Faculty of Education courses in areas such as math and special education. One teacher is working on her PhD. Many of us have attended conferences and workshops on best-practices in kindergarten. Six are in the midst of a ten-module Leadership Institute with CAIS (Canadian Accredited Independent Schools). A number of teachers are currently receiving professional development in the area of mental health, and sharing what they learn with all faculty. In addition, we are developing our own professional development in this area for all our staff which will begin early in 2014. All teachers are learning about new applications in technology, from self-study, in-house training and by attending conferences. Many teachers are learning from global professional networks on Twitter and Pinterest; an increasing number of teachers are learning to use these tools so they can develop their own network; a few teachers are learning how to leverage Twitter as a classroom tool. Many teachers have signed up for external workshops specific to their subjects. All are advancing their abilities to offer Project-Based Learning (PBL) opportunities in their classes, using the books PBL Starter Kit and PBL in the Elementary Grades that we all read over the summer as a common planning tool. All are growing as a result of the collaborative planning and problem-solving inherent in making the most of every student’s day. Our students have days full of learning. Our teachers do too. Developing lifelong learners is what we do at KCS. Whether young or old(er), embracing learning is a Habit that applies to us all.